So you bought a new home and had it renovated. You then decided you no longer want the house, so you put it up for sale. But something you did not expect happens. The house takes long to sale. A year down the line and it hits you that buyers always request to see the house then decline to buy it and cite strange reasons. This may sound like something that doesn’t happen often. An experienced realtor will however tell you otherwise. It all boils down to wrong home upgrades or if you may, wrong home renovation techniques. How does this happen? Read on to find out. This can be a hit or a miss depending on so many factors. It will certainly be a hit if you live in a warm area where one may want to take a dip every once in a while during the day. Not so in a fairly cold area. 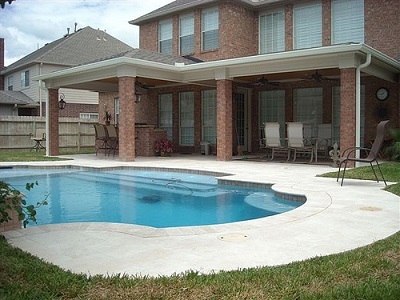 There is also the fact that buyers will always want to take into account the cost of maintaining a pool. If therefore your home is in a middle income neighborhood, refrain from adding a pool. If the home on the other hand is in an upper middle class neighborhood, then a pool would be by all means ideal. Your idea of a modern kitchen may not be everyone’s idea of the ideal, modern kitchen. So unless you have plans to stay in your home for decades, refrain from having so many details in your kitchen design. Simply avoid renovations and improvements that are away too personalized. Keep things simple and maximize on space as much as you can. Think of it this way. If you go for a backsplash, then chances of recouping the cost are high. That is because the difference between ‘backsplash’ and ‘no backsplash’ is always easy to notice. Buyers may not even be keen on the tile used in your kitchen. The idea of a backsplash in the kitchen may be enough for most buyers. But it does not end there. Be keen on the countertop. It is one of the first things buyers always notice in a kitchen. A beveled countertop that is ornate and complex can turn off buyers. A basic beveled one on the other hand can easily seal the deal for you. Most home renovation builders in Perth will warn you on the danger of room conversions if you have plans to cash in on your home after some time. Buyers are always looking for specific spaces in a home. They may want a 2 bedroom or a 4 bedroom home with a garage – nothing more, nothing less. You can therefore imagine what would happen where one converted his or her garage into something else. So think twice before knocking down walls to convert rooms. The best you can do is to repaint rooms. That way, you will retain their shape and re-convert them to their initial use when the need arises.